Soldiers work tirelessly in their tactical operations center -- giving the needed oversight to their subordinate units. Maps are hanging from partitions with computers and radios manned by soldiers who monitor the situation on the battlefield. They are part of a task force deployed to provide support to an allied nation at war. Unbeknownst to them, an enemy unmanned aerial system flies overhead -- recording their position. A soldier on the ground spots the UAS and rushes to alert members of his unit. Command makes a snap decision to tear down and move the TOC. Soldiers scramble to unplug equipment and pull up tent stakes while noncommissioned officers yell instructions to load up the trucks. It is too late; enemy artillery shells rain down on them before they are able to successfully begin their convoy away from their site. It is a catastrophic kill. The environment those soldiers will operate in will be "highly lethal," and "unlike anything our Army has experienced, at least since World War II," said Gen. Mark Milley, the Chief of Staff of the Army. With sensors everywhere, soldiers in the future will have to operate with the understanding that, "the probability of being seen is very high. In a future battlefield, if you stay in one place for longer than two or three hours, you'll be dead. That obviously places demands on human endurance ... (and) on equipment." 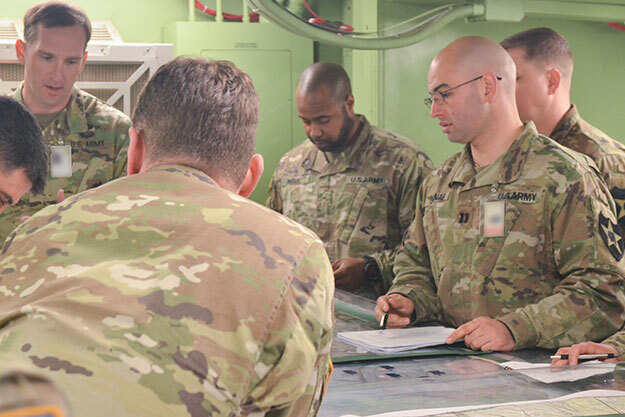 The 1-2 SBCT recently held a design workshop with DEVCOM March 12-15 immediately followed by a command post exercise to assist in the platform's implementation and provide feedback on optimal configurations. 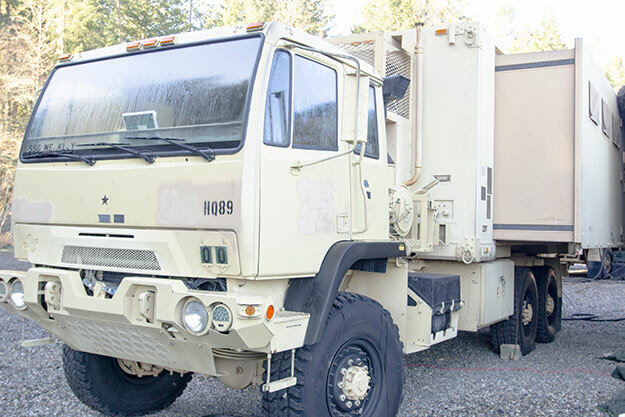 As this development process continues, developers are collecting surveys from the units testing the equipment to ensure the platform can accomplish its intended task of making command posts more mobile.